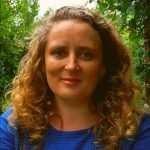 Jenny Fahy is committed to working in the community to support social inclusion, personal development, human rights, education & development in the formal school environment & the community/voluntary sector. Her life skills are broad and she has been involved in training and support work for the past twenty years, including…. She is also a gardener, a singer, a wife, and a mother, and lives in the EcoVillage in Cloughjordan.